Hope everyone is enjoying their summers! We, in the Ooma Engineering group, wanted to drop by and take a moment to recognize the significant contributions of the open source community in making the Ooma Telo home phone service possible. Ooma’s great value propositions, plus many of our advanced features, come from a blend of open source software with Ooma’s own developments. 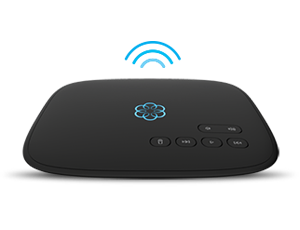 Ooma Telo and our network’s infrastructure use Linux as a base operating system. We leverage BlueZ for our Bluetooth support in Ooma Telo and we use various other open source components. We also wanted to give special recognition to the Freeswitch community. Freeswitch is a lesser-known and more modern open source soft switch that is rapidly gaining acceptance within the telecom community. 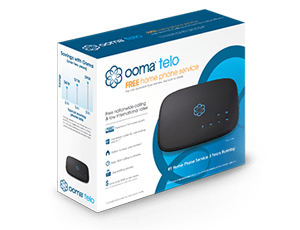 We use it on Ooma Telo to provide our users with many of the advanced features sometimes found on a commercial-grade PBX, but simplified for consumers and use in the home. In our infrastructure, we have worked with the open source community to harden Freeswitch to support hundreds of thousands of users… and soon millions! This saves us the expense and overhead of using a proprietary soft switch. We appreciate the work that the open source community has put into Freeswitch, and we are proud to have contributed our own enhancements to the code base back to the community. The open source community in general, and the Freeswitch community in particular, are essential to driving innovative products and services like Ooma’s. With that, we are pleased to announce that Ooma will be a proud sponsor of the ClueCon conference in August. ClueCon is a developer conference dedicated to fostering the advancement of these and other open source telephony applications. We hope to see you there and thank you again for your support of Ooma! Thank you for the kind words. The FreeSWITCH community – and indeed, all open source communities – appreciate it when for-profit operations use their software and choose to give back. We look forward to seeing Kevin Snow (Ooma engineer) at ClueCon next week. Thanks again for the support and kind words! Thank you. I appreciate your understanding of community software and your contributions back to it. This leaves me even more glad to be a customer of yours. Three cheers for Open Source. I, too, am such a large supporter. I’ve vowed to send Bill Gates not another dime. Linux rocks. So does Libre Office. I am really impressed by your product. I’m even more impressed with your choice to contribute to and benefit from open source community development. Kudos!